Kitchen appliances of the future are those which can help not just in the preparation of food, but also to perform specialized functions. This is where the gluten free 3D printer come in. 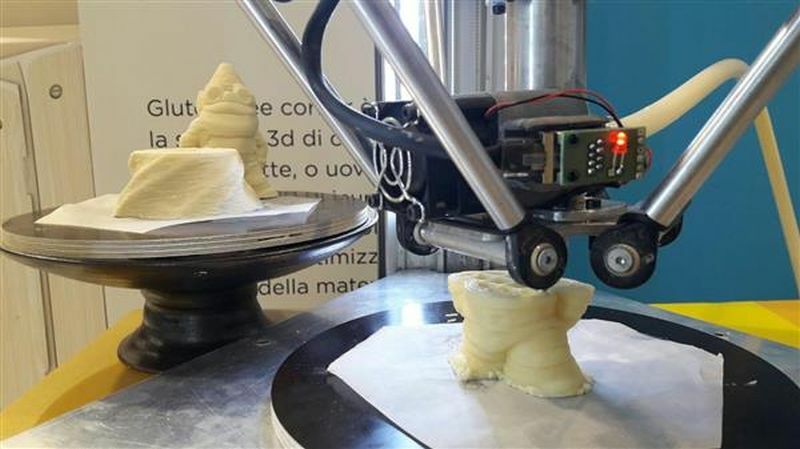 The brainchild of Chef Zeroinpiù, this printer would be manufactured by Wasp. Till now, it was quite difficult to prepare gluten free food along with normal food in the same kitchen, due to the risk of contamination, especially in restaurant kitchens. But with the 3D Delta Wasp 20 40, it would be possible to prepare celiac food in an area designated for celiac food, using this printer. Thus 3D technology kitchen appliances are being developed keeping in mind the health requirements of people. The dream machine for chocolate lovers would be a printer that could print chocolates whenever they felt like eating one. That is why the “Chocabyte” received a lot of attention when it was revealed at an electronics show. For bakers and confectioners, these expensive high-end chocolate printers can be very useful. 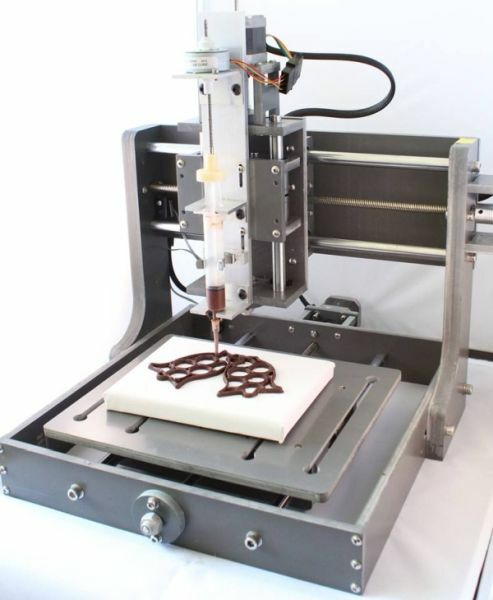 Using them, they can print complicated designs in chocolate. 3D technology for kitchen appliances or 3D food printers are useful especially in cases where it takes a lot of time to prepare certain shapes. For the Foodini, pureed food is required, such as pureed vegetables, ground meat filings, cheese and tomato sauces, liquid dough etc. 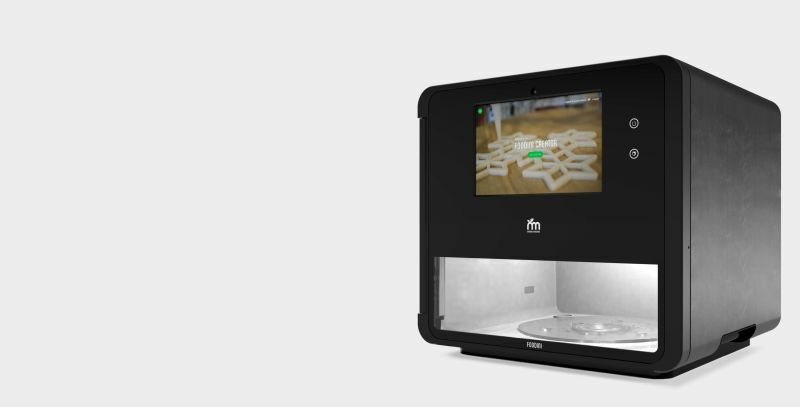 The Foodini will be programmed to prepare food from purees and a prototype Foodini has already successfully printed burgers, cookies and pizzas. The printer will not cook the food, only print out the raw material. 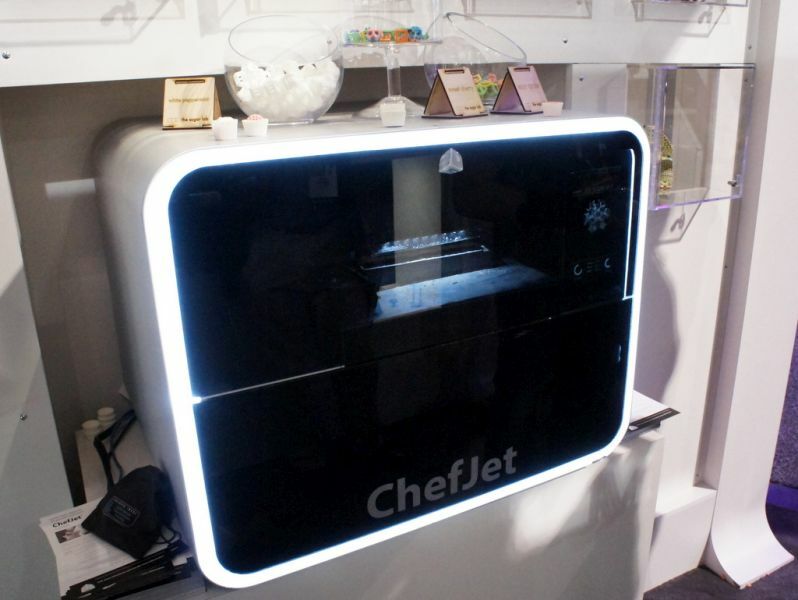 The Chefjet would be one of those handy kitchen appliances of the future, which people like us could use to print out marvellous sugary confections and cake centerpeices. Professionals could use it too, and save time from painstakingly creating cake decorations, as they could just print out the designs they want. A printer for NASA is being developed by a private corporation known as SMRC. The company is creating a 3D printing system in which proteins, macro and micronutrients, carbohydrates could be stored in powdered form in the spacecraft, for a period of 30 years (in the absence of moisture). This would enable NASA to send astronauts on multi-year missions to explore deep space in the future. 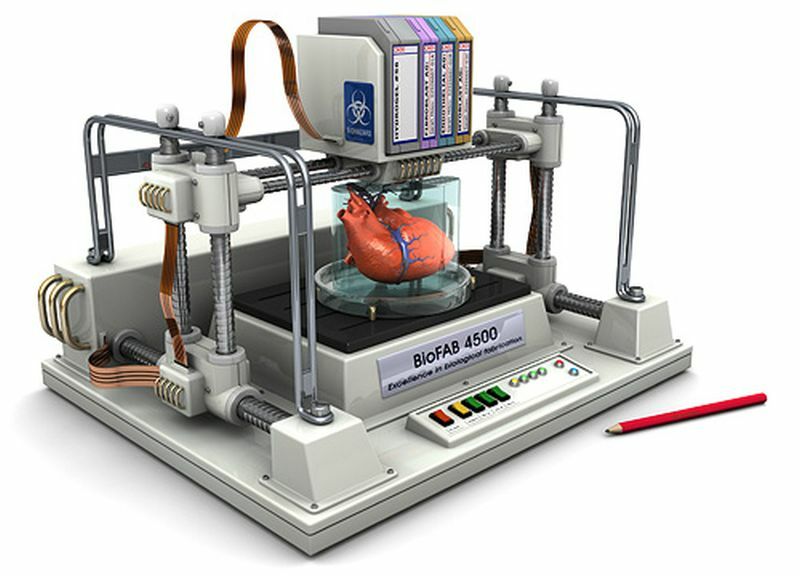 A bioprinter can print food from living cells, including meat. This is possible by the use of stem cells and means that people could enjoy meat without having to kill animals. The stem cells have to be extracted from the particular animal and then allowed to multiply in a lab, after which the bioprinter prints several meat cell layers to form meat. One advantage of 3D technology kitchen appliances would be that food would become personalized. Food consisting of the correct percentage of nutrients according to the health of every person could be printed out, leading to better health maintenance. Food printed out in colourful and attractive designs could also entice children to eat nutritious food.